Can you tell us a about the title of your latest project “PropeR Element$”, how does it relate to the theme of the overall project? What can listeners expect from “PropeR Element$” compared to your other previously released projects? In your opinion, what would you say is the stand out track on “PropeR Element$”? And lastly who are some of your strongest musical influences? 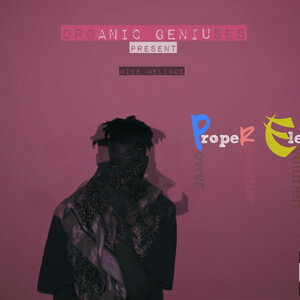 You can stream (and absorb) Mike Melinoe’s “PropeR Element$” now on SoundCloud. Mike Melinoe’s next show will be in Detroit on 9/12/14 at the Foxtail Fest.